Leading Manufacturer of transformer gaskets from Vadodara. We strive to design and develop a precision engineered range of Transformer Gaskets that are highly demanded in the market. 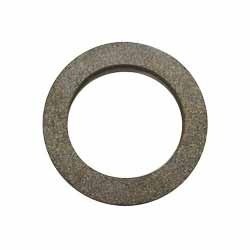 Our range of these transformer gasket is widely acclaimed for its use in high vacuum equipment, hydraulic systems and refrigeration plants. We also offer the facility of customization for these gaskets. The entire range of transformer gaskets offered by us is widely applauded for its ability to withstand high compressive loads. Looking for Transformer Gaskets ?